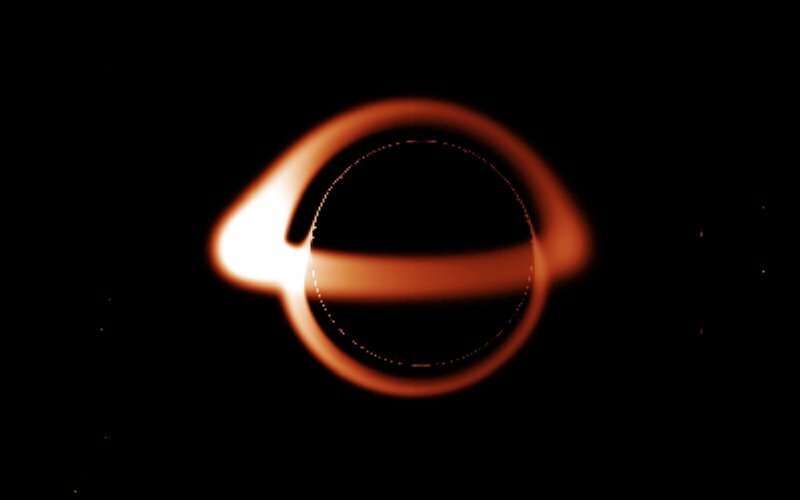 A black hole has such a strong gravitation that even light cannot escape. At its edge, however, light can escape and be used to model how it looks like. Scientists try currently to record the light. While they are still doing this, artists try to capture what to expect.